The flood of new metal, which has been especially torrential over the last 10 days, continues unabated. We’re really not even keeping our heads above water, despite posting a slew of round-ups since the weekend, but I think we’ve at least got our nostrils in the air. With welcome help from Grant Skelton on today’s second item, I’m again collecting lots of very good and very diverse metal discovered over the last 48 hours. A second part of the collection will appear later today. There’s a really long, twisting and turning story behind the name Criminal. I’m sure it’s a name well-known to many of you, so I’m going to severely truncate the history lesson before moving to what really counts — a new song from a new album. The back-story is that Criminal was spawned in Santiago, Chile, in 1991 as the brain-child of guitarist/vocalist Anton Reisenegger after the break-up of the Chilean death metal band Pentagram; achieved considerable success during the ’90s; re-constituted itself after Reisenegger moved to the UK in 2001; appeared at numerous European and South American festivals in the ensuing years; and re-signed to Metal Blade last year. The new full-length — the band’s eighth studio album and the first since 2011 — is named Fear Itself and it features artwork by Romania’s Costin Chioreanu. The new song that premiered yesterday is “Down Driven”. The pulsating riffs in this song are really damned strong, strong enough to bend your neck to its will, and the thrumming bass notes and booming drum beats will wake the reptile part of your brain. 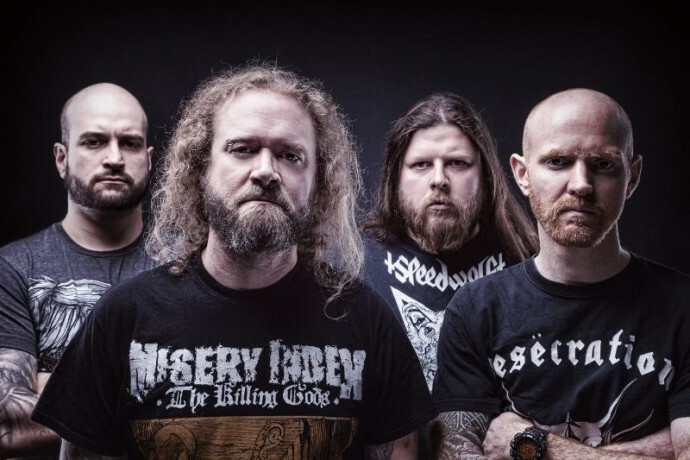 Inflamed vocals that sound as vicious as a rabid mastiff, incendiary soloing, and dynamic shifts in rhythm complete the package of a song that’s already on our list of candidates for 2016’s most infectious tracks. Portland’s Graves At Sea have recruited one hell of a following in the sludge/doom underground. By itself, that fact may not seem very startling. 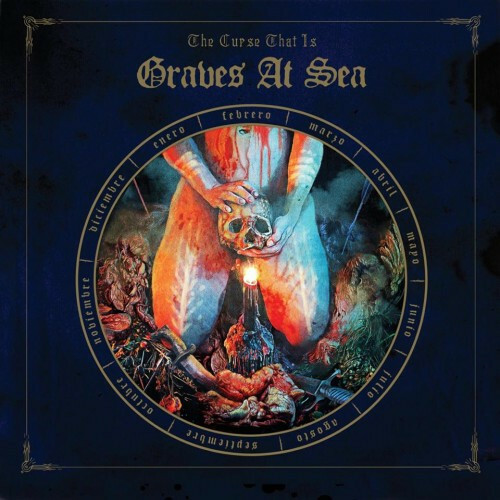 But consider this: Graves At Sea initially formed in 2002 and are only now releasing their debut album. Yes, you read that correctly — their debut album is due in April. Documents Of Grief, the band’s 4-track 2003 demo made them something of a Boogeyman in sludge circles. A phantom to be whispered about. A clandestine relic whose name dare not be spoken, lest an unnameable and nebulous cloud of malaise should descend upon one’s soul. In addition to Documents Of Grief, Graves At Sea released the Cirrhosis b/w Atavist Arise single in 2004, followed by a split with Asunder in 2005. They disbanded in 2008, only to reform four years later. 2014 was a busy year for the band, as it saw them releasing an EP called This Place Is Poison, which features a squalid reimagining of Black Sabbath’s “Lord Of This World.” The same year, GAS shared a split with Southern sludgemongers Sourvein. April 1 will see the band christening their faithful with a harbinger of bleak cacophony entitled The Curse That Is on Relapse Records. Find a stream of the album’s title track below. Remember the double-bladed chainsaw from Doom 64? Consider guitarist Nick Phit and bassist Jeff McGarrity the same way. The guitars and bass in this track will grind even the most robust and healthy meat into a gelatinous, vapid pulp. Vocalist Nathan Misterek gives verbal utterance to the divergent voices in his head. His shrill screeches would not be out of place if emitted by a man suspended on the gallows. Drummer Bryan Sours is animated and energetic behind the kit. I find his drumming much more engaging and creative than what I usually hear from sludge drumming. This track is a tormented, tenebrous introduction to what promises to be one of 2016’s best metal albums. Staying with the Portland locus, the next song we’ve got for you is a track named “Black Autumn, White Spring” by the band Uada (a name that means “haunted” in Latin), who have been praised by no less than Agalloch’s John Haughm as “one of the most interesting and exciting bands coming out of Portland these days”. 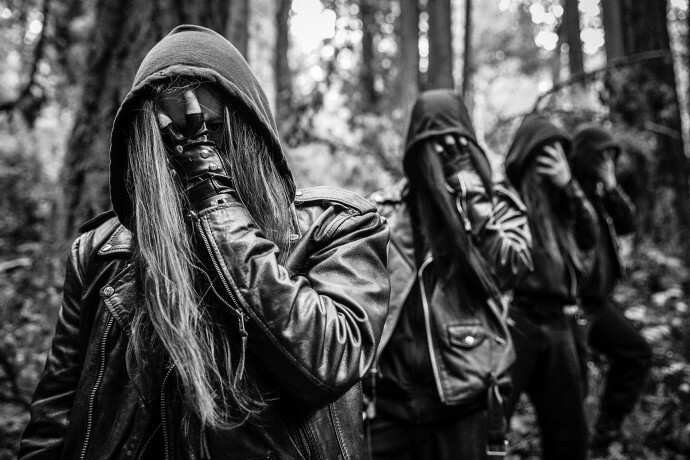 The song comes from their debut album Devoid of Light, which is due for release by Eisenwald this spring. “Black Autumn, White Spring” is a thrilling (and enthralling) piece of black metal, with drum and bass work that’s just as much fun to focus on as the dark waves of guitar melody that sweep through the music like a winter gale (and sometimes drift like a grave-side mist). Dynamic music that gets stuck in the head. 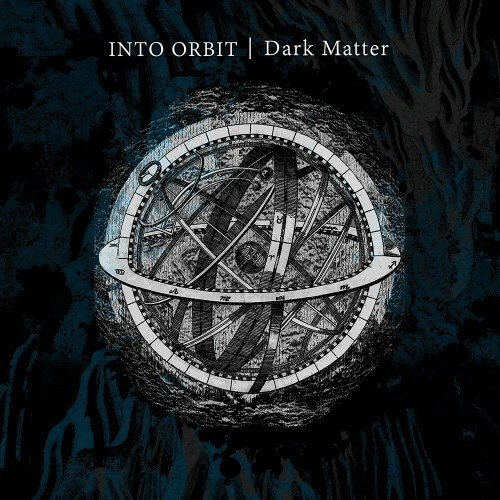 Into Orbit are a Wellington, New Zealand instrumental band formed in 2013 who have just released a free single on Bandcamp named “Dark Matter“; this follows a debut album (Caverns) that appeared in 2014, and is the precursor to a second full-length projected for release later this year. Along with the Bandcamp stream, the band released a very cool video for the song, which I’m embedding below. The song has a grabber of a beginning, with one guitarist turning his instrument into a percussive instrument and the other casting a melodic spell while the drummer sets up a tumbling beat. And that’s just for starters. The song rocks heavy and hard with a compelling rhythm, but it also cuts loose with a fiery solo — and the video makes for excellent visual accompaniment. I will say selfishly that this should have been longer. The video was directed and edited by the band’s drummer, Ian Moir, with cinematography by Max Collet and drone footage by Paascalino Schiller. Nice work dudes! Kinda knew Uada had to be good, since I found them from an Eisenwald post, but they’re easily one of the better groups on the label, even with just this one song I’ve heard. Heavily anticipating their release, as well as Graves at Sea’s. 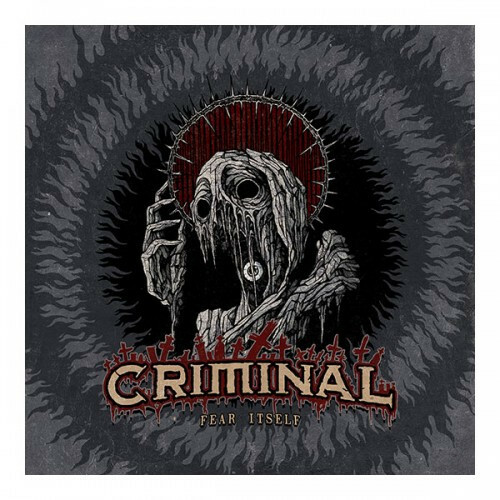 Glad to see Criminal is still putting out good stuff. Their 2005 album Sicario is one of my favs. That Graves At Sea band photo is the most Portlandia thing I’ve ever seen.